It is a tool widely used in Scandinavian construction sites for bracing and plumbing of wall elements for factory made houses and buildings. The foot on both ends of ByggStik has 180° movement to allow the bracing angle to vary. 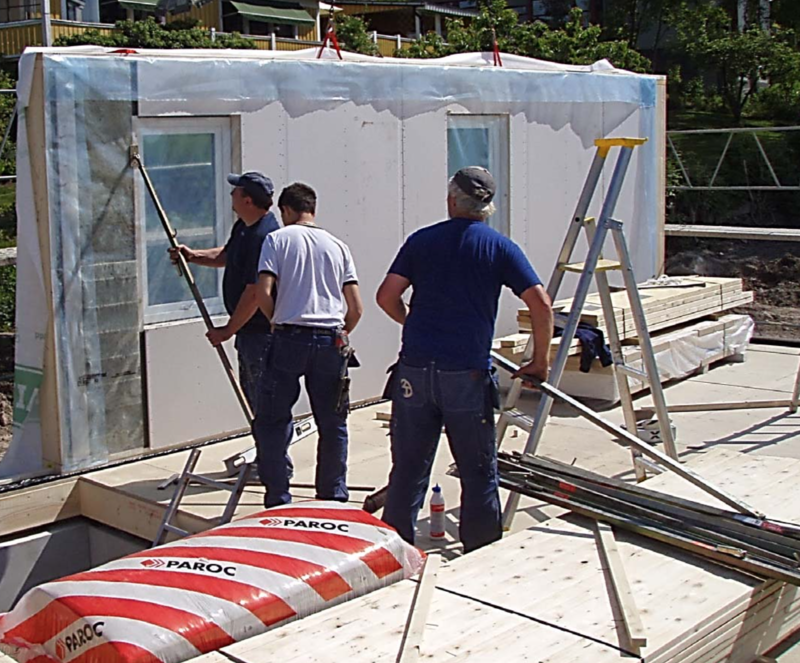 ByggStik can be staged in advance, pivoted out of the way during setting operations, and quickly pivoted into place to brace the panels. Once braced ByggStik allows easy adjustment to plumb and align building elements. 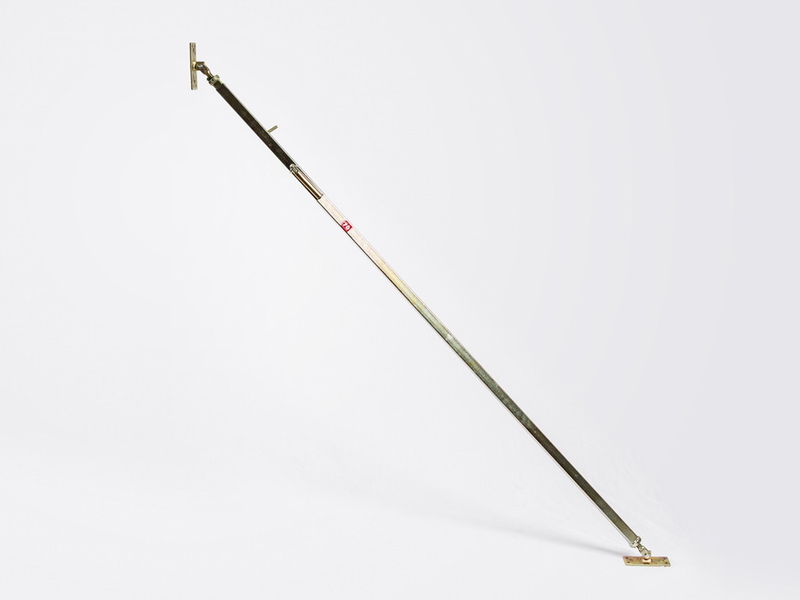 When adjusting a wall element you simply rotate ByggStik with one hand. This leaves your other hand free to use a framing level ensure your element is plumb. To order: email us with the quantity and your shipping destination, and we will provide a quote. 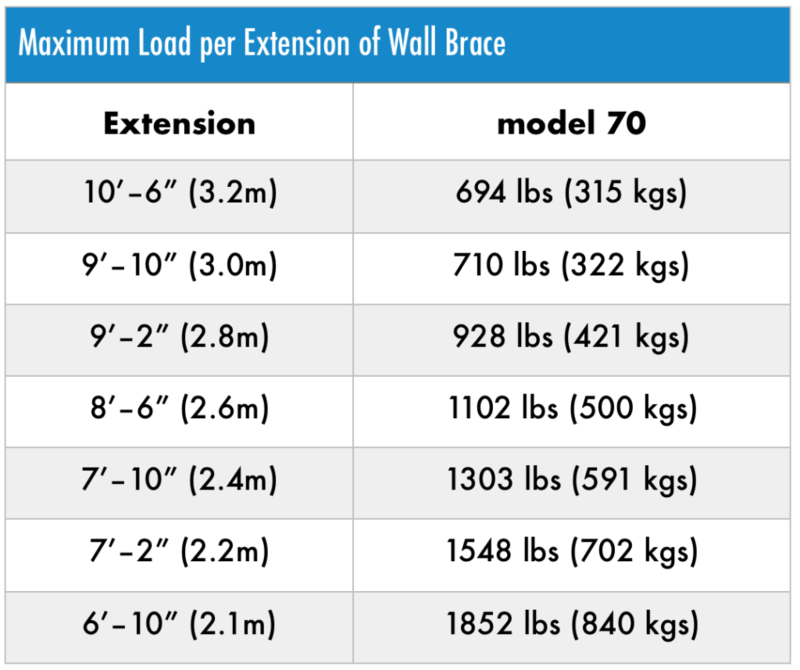 ByggStik braces go in place fast, and allow precise adjustment after the building element is secured. Adjusting ByggStik is fast, and can be readjusted as connections are made final. 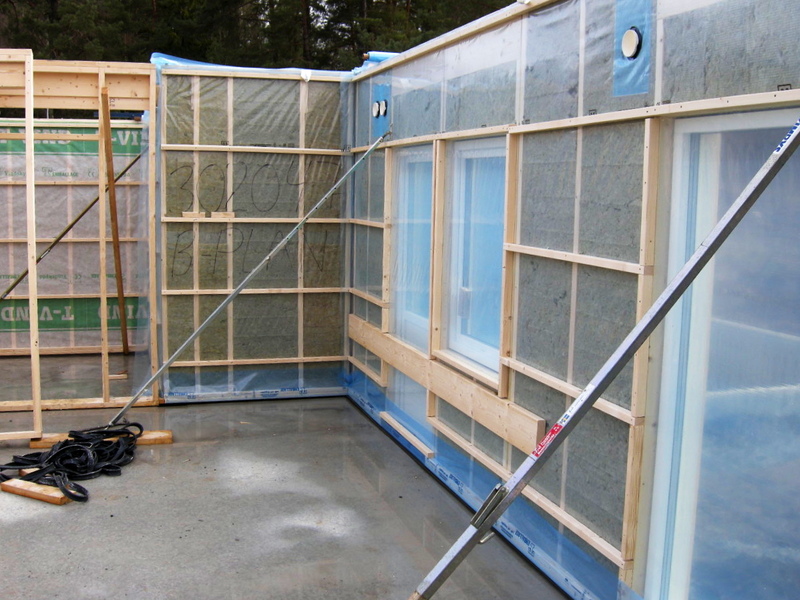 ByggStik is the best brace to use with heavy CLT panel construction. One handed operation allows one man to level building elements. Fast, Safe, Accurate. 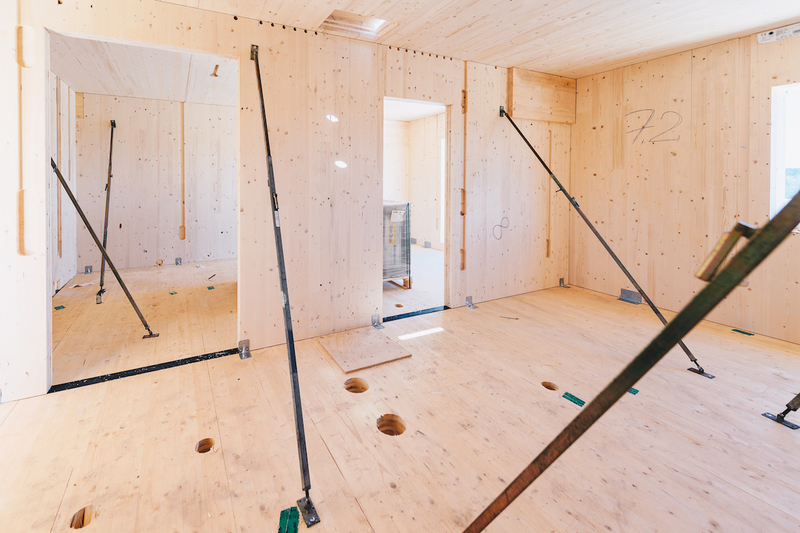 So stop propping up your walls with 2x4s! 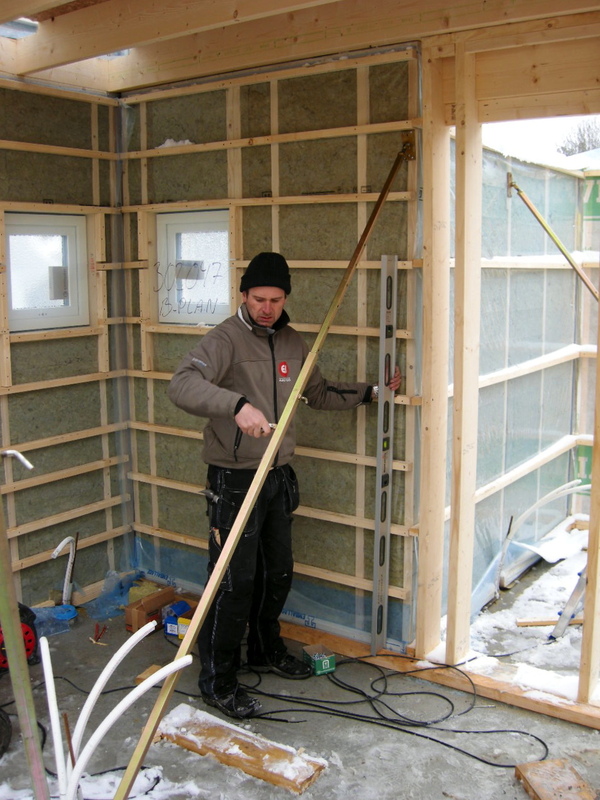 Speed your installations with ByggStik.